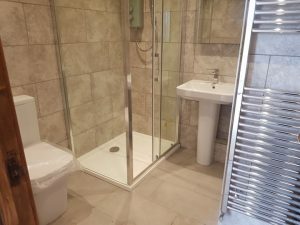 Two Bathrooms For A North Cornish Coast Holiday Home | Bywhe Renewables Ltd.
For this customer, we were asked to replace an existing bathroom in their holiday home, with 2 separate bathrooms. 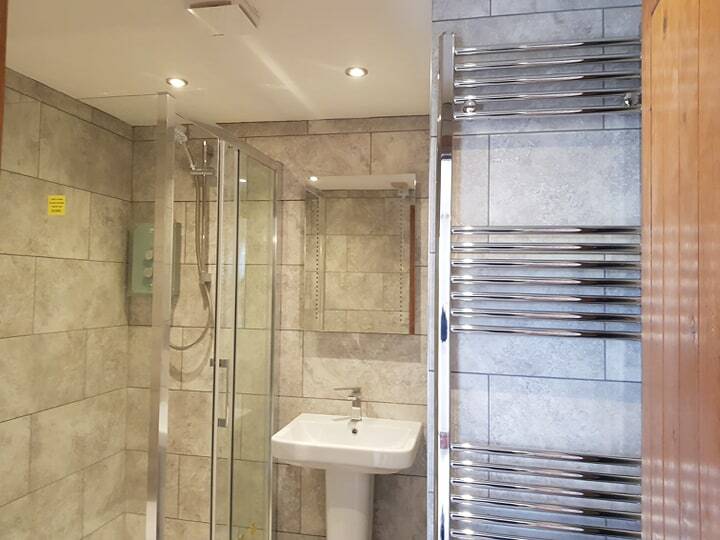 One being an en-suite for the master bedroom, and another for the rest of the house. 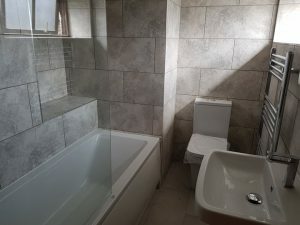 This required some significant remodelling work to the house, which meant walls were knocked down to make space and shape for these two bathrooms. 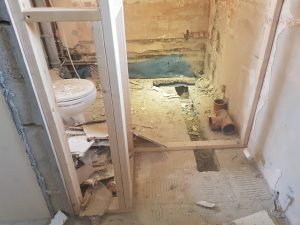 These bathrooms required a new drainage system to be installed for the waste from the sanitary ware. 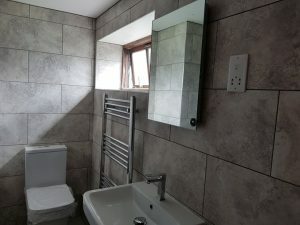 Further to this we tiled the bathrooms and installed everything involved with the bathrooms, including lights and extraction fans. 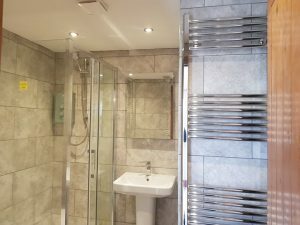 With our range of skills in the business it means we are able to complete full projects like this without needing to liaise with other contractors. 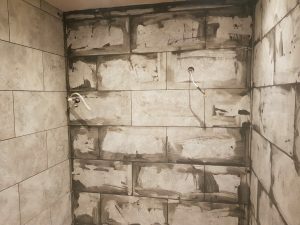 Below are some pictures of the final results of the bathrooms.